Not every car GM produces these days is pure gold. We loved the Chevy Volt, which is an economical car that fills a void by running on electricity for your commute, and on gas for longer trips. The Chevy Cruze is also an economical car with enough pep to get you that one last parking spot at Target. And we know the automaker is planning some brand new redesigns for next year as well. But the Cadillac CTS Coupe? It’s a luxury car that might get lost in the high-end segment. Spending several hours driving around Detroit, on back-roads and twisting two-lane highways, during a rush-hour commute, and around a suburban area, we found the vehicle to be powerful enough, sleek and well-accented inside and out, and certainly a major notch forward from the typical sedan. However, even at the reasonable base price of $38,165, we expected more advanced technology features. 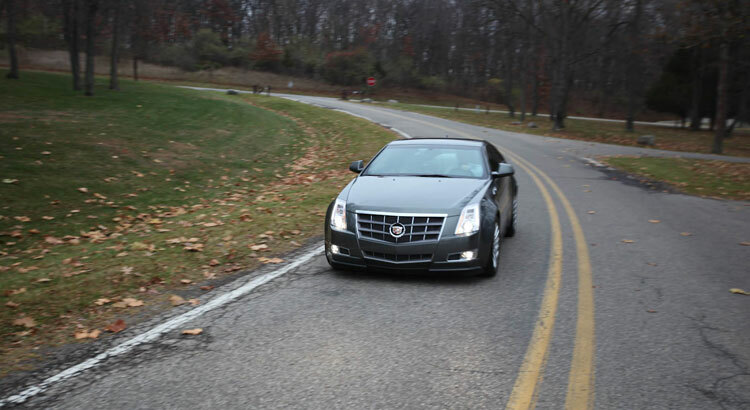 The CTS Coupe is a two-door luxury car that has “basic” luxury features, such as a heated steering wheel, in-car navigation screen (on our test model, it rises up out of the dash), and adaptive headlights that tilt to compensate for curves in the road. These extras push the base price up another $10,000 or so. The model we tested also had 10-way adjustable heated seats. Cadillac has positioned the car against the Mercedes-Benz E-Class, the BMW 3-Series, and the Audi A5 – all sporty models that are not full-size sedans. On paper, the CTS Coupe has a bigger engine – a V6 running at 304 horsepower — compared to the Mercedes and Audi but about the same as the BMW. 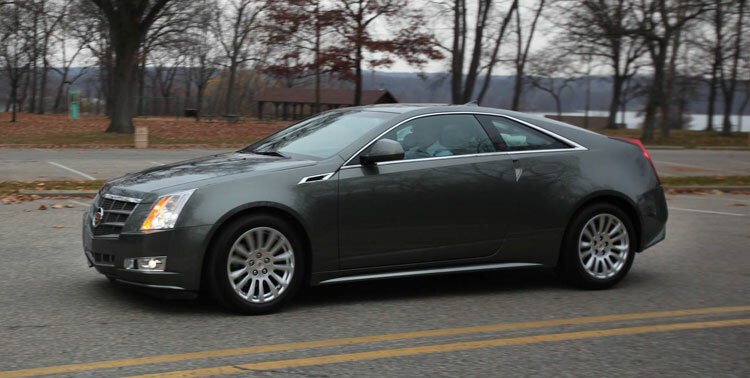 The CTS Coupe is 188.5 inches long, which helps make it feel a bit roomier than the competition. All of these smaller luxury vehicles come standard with the typical safety features, such as traction control and anti-lock brakes. The exterior styling has caused quite a fuss with Cadillac fans. Posts around the Internet claim the car is a flashy throwback to a bygone era with a radical and sleek design that stands out in a crowd. Indeed, the Coupe does break from the norm and yet still has a few of the typical Cadillac design traits – including a larger backend than you might expect — even from pictures and vertical taillights. The centered tailpipe is one of the most unique design changes, and it’s one of the features that helps you pick the car out in a crowd, and matches (copies?) the exhaust styling of the discontinued Cadillac XLR. That said, and depending on your tastes, the CTS Coupe looks a little boxy in person. We prefer the curvy design of the Infiniti M37X and the trim European look of the Audi A5, but the CTS Coupe actually looks a bit like a metal arrow driving down the road. Cadillac did introduce a nifty change on this model, though. When you open the door, you slip your hand into a compartment and press a digital hinge that opens the door, instead of a more analog latch. This gives you the immediate impression that the Cadillac has “gone digital” and is not quite as much of a throwback to earlier models.